During Navratras, a lot of us go to temples and worship Goddess Durga, but not many are aware of the philosophical Significance behind it. According to the Devi Bhagwat Puran, “The two season’s autumn and spring are known as the teeth of Yama, the God of Death, “The nine day festival is observed twice a year, once in the month of Chaitra year, (March – April) as Rama Navratri and then in Aswayuja (Sept-Oct) as Durga Navratri. 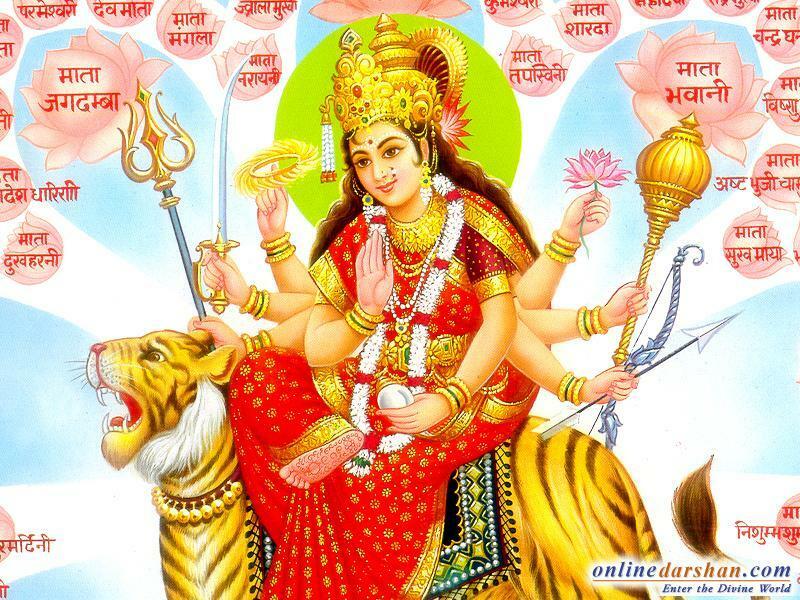 Both periods are considered highly auspicious to please or worship the “Adi Shakti” goddess Durga. This is the time for Rama Navratri. During these Navratras one should worship Lord Rama and Goddess Durga for material and spiritual welfare. There is a description in Hindu mythology that due to increased menace of ‘Daityas’ on earth, all the gods came to Maa Durga for rescue. After praying to goddess Durga for nine consecutive days, she got pleased and made a prophecy declaring the birth of Lord Rama, who would fight all the demons and restore peace on earth. Hence the last day of Rama Navratra is celebrated as Ram Naumi, the birth of Lord Rama. The celebration starts from the first lunar day of the bright fortnight of Chaitra and last upto Ram Naumi. 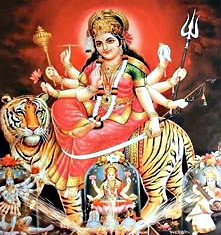 During these nine auspicious days when Goddess Durga or ‘Durga of ‘Devi Maa’ is worshiped across India under different names and manifestations, Delhi virtually becomes a temple town. Jhandewala Mandir, a pilgrimage centre in the heart of Delhi attracts devotees in lakhs. “We are at our busiest during the Navratras, when every day we clock over one lakh devotees. The number keeps increasing year after year. We serve free langar for the general people and for devotees too, “informs a member of the Jhandewala Temple society. Devotees throng to verious temples and places of worship to offer their obeisance to Maa Durga. Other popular pilgrimage points in the capital during these nine sacred days are the Chattarpur temple complex, the Durga temple in Green Park and the Shiv Mandir in Preet Vihar.